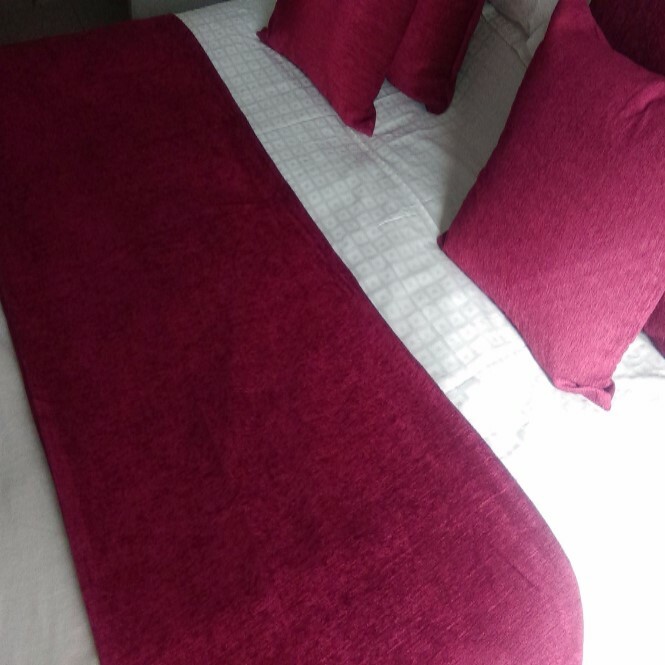 Soft polyester flame retardant chenille cushions and satin lined bed runner. These runners could be used as a reversible product due to the two types of fabric used, Produced from a 220gsm chenille with a 80gsm backing giving a overall weight of 300gsm, Our cushions come in 2 sizes standard 17" square and large size 23" square, fully non visible enclosed zip and can be supplied fully filled. Flame retardant to International Standard ISO 12952-1. Available in 3 neutral colours Mocha/Beige, Claret/Burgundy and Grey this product will add comfort and colour to your bedroom. Home and Hotel bedroom and living room cushions, from plain chennile, chevron stripe and florals cushion. 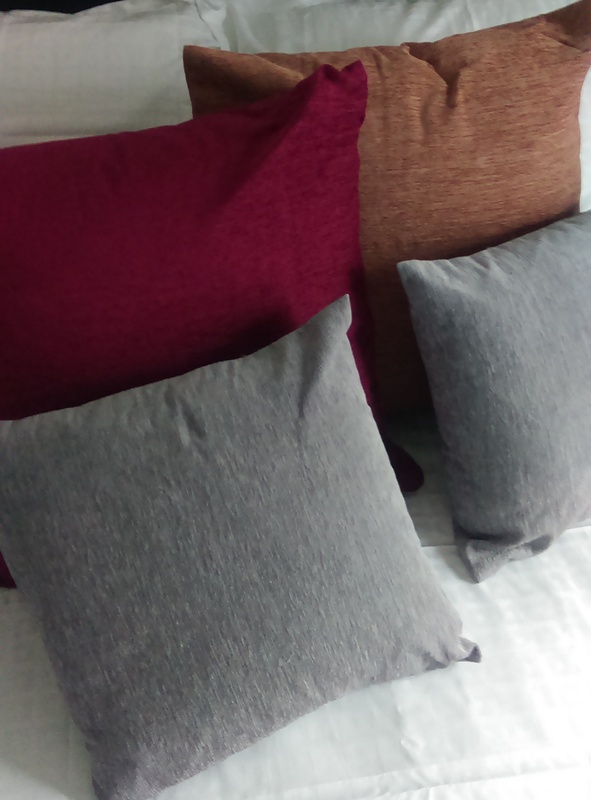 Supplied as cushion cover only or as a complete filled cushion with standard hollowfibre or luxury feather inners. Cushions covers in 2 size 17 and 23" square. Inner sizes are 18 and 24" square. 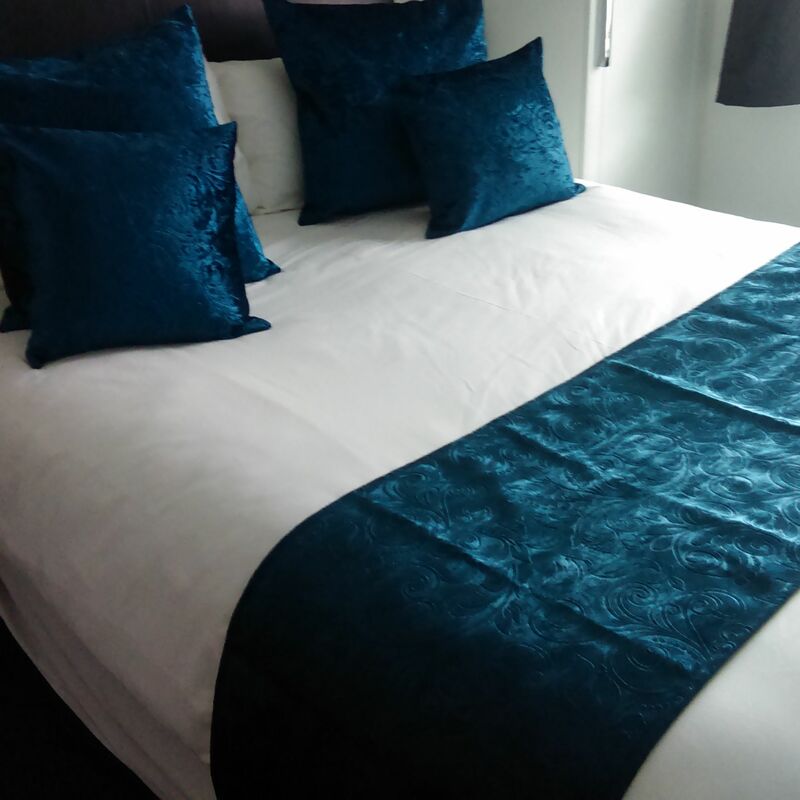 Quality matching Hotel bed runners to match. Superior Velvet in Plain or jacquard design, Durable contract quality for hotels and the home in a quality heavyweight 400gsm fabric, Available in a wide range of colours to add colour and style to your bedroom, Generous size bed runners hemmed to all sides Single size 40x140cm, Double/King Size 50x200cm and SuperKing size 50x240cm. Cushions in standard small size 43x43cm(17") or Large size 58x58cm (23") with bottom zip fastening, can be supplied as cover only or a complete cushion with inner in standard hollowfibre with corrivin outer or luxury feather with a smooth cotton outer. All White Linens supply exactly as the name, we have over 25 years experience in supplying quality hotel linens..
© Copyright 2019. All White Linens. All Rights Reserved.